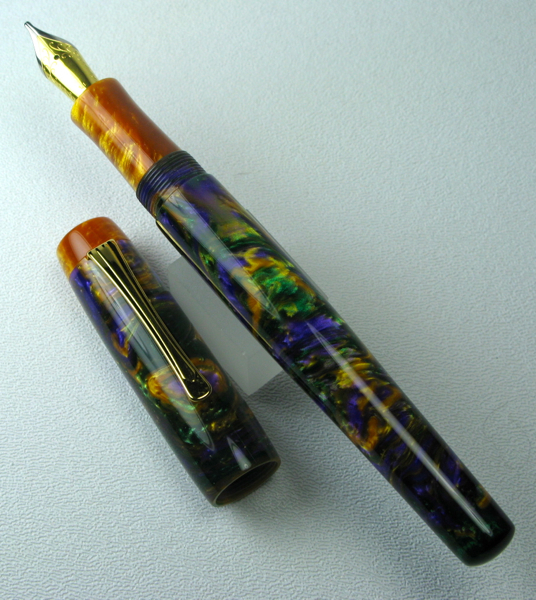 Welcome to Scriptorium Pens, a new source for custom, handcrafted fountain pens! Just over a year ago I got a woodworking lathe and began to learn how to make custom, kitless pens. With the generous help and advice from a couple of experienced penturners from the Fountain Pen Network and the International Association of Penturners, I was able to hit the ground running. A few months later, people were starting to ask if they could purchase my pens. Success caught me by surprise, and I was soon making pens on a regular basis. It’s been 10 months since I sold my first pen, and the requests keep coming in. This hobby has turned into a full-time business, much to my surprise and joy! It’s time to move to the next level with a real web site — with answers in one place to all those questions customers ask in emails. One new question that’s sure to come up is where the company name comes from. As a retired English teacher, I’d already started naming my pen models with titles for people who write, who create, who tell stories or pass along news, looking back to the oral tradition. I’ve a definite leaning toward words evocative of myth and fantasy. One place where those elements come together is the writing room of medieval monasteries. In the Scriptorium, monks copied important religious documents, collected stories, and created their magnificent Illuminated Manuscripts, adding countless works of art to our literary legacy. Of course, they also made their own pens and ink. So, the medieval scriptorium provides the perfect confluence of associations that I was searching for in a pen company name! In the days to come I’ll be filling the site with product images and information. Expect things to change frequently as I experiment with the best way to organize and arrange the site. Hopefully it will all be squared away soon. In the meantime, you can still visit my Flickr Pen Gallery to see my work. Thanks for stopping by! 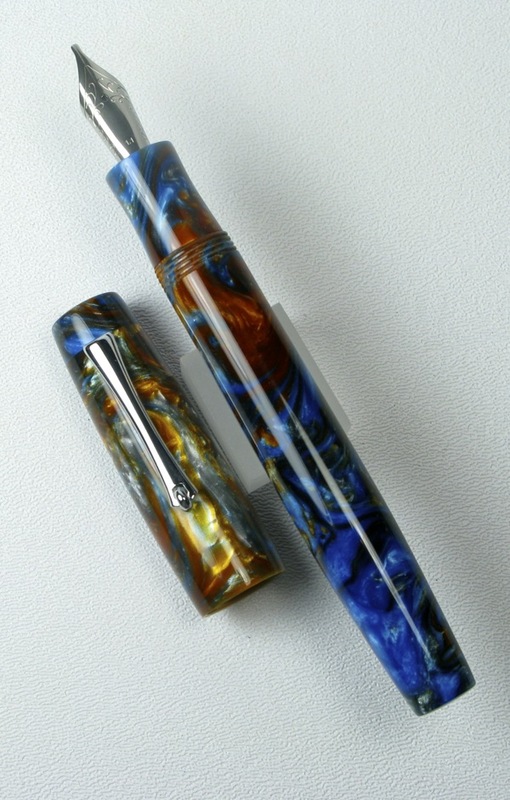 This entry was posted in News by Scriptorium Pens. Bookmark the permalink. Hey! Sightofthesea from IG here! I was just poking around here! Got to the about page and I want to know more about how you actually got into making pens! I am an artist and a maker, so I love seeing people successful in making a living making things by hand! Your work is amazing. I tried to leave a comment but I can’t see if it posted! It’s sightofthesea from IG, was just looking around here abd wanted to know more about how you actually got into penmaking! Posts only show up after receiving approval. Sorry about that, but it’s to cut down on spam posts. Ah! No worries, I was having issues with WordPress so I wasn’t sure if it was my issue or WP! I love this, and would love to hear more when you have time to post about it!! I’ve never made a kit pen in my life. I jumped right into making custom kitless pens. I read everything I could find on the internet about it, followed the pen making forums, and asked a zillion questions. 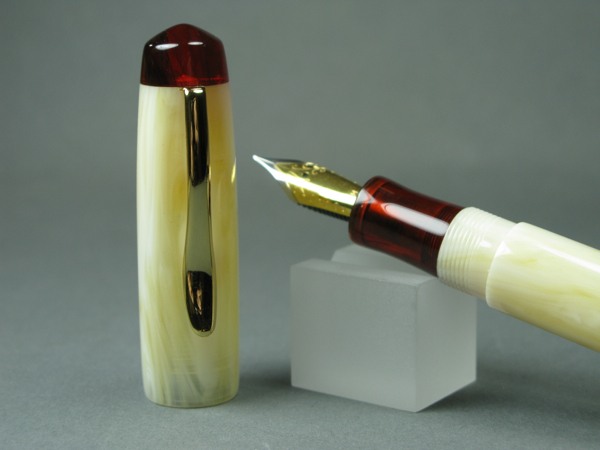 In doing so, I became friends with a number of penmakers, and one of them became my mentor in the craft.